2010 was a year of great success for BMW ORACLE Racing. 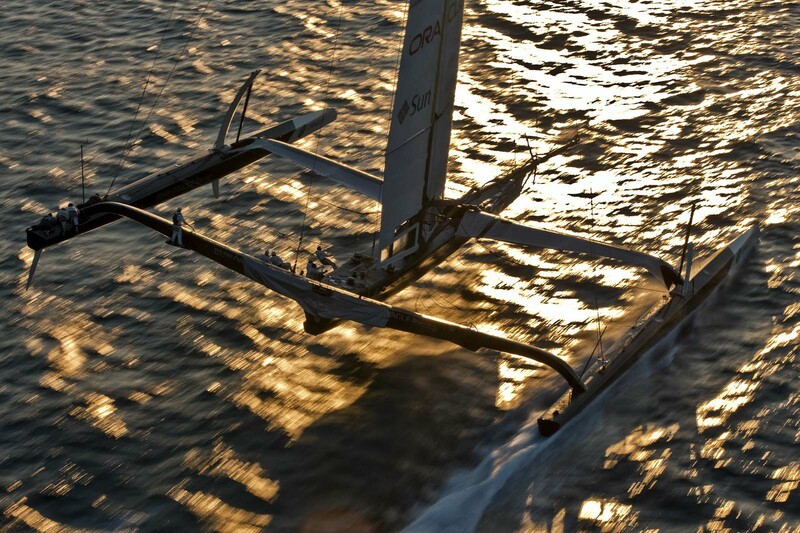 In the same year the team celebrated a decade of racing it notched victories in the 33rd America’s Cup, the 1851 Cup race around the Isle of Wight and the RC44 Season Championship. 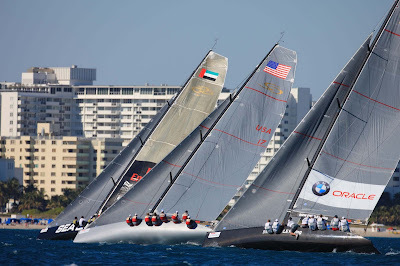 There were also honors for many, including James Spithill’s selection as Australian Male Sailor of the Year and entry to the America's Cup Hall of Fame for Mike Drummond and Murray Jones. 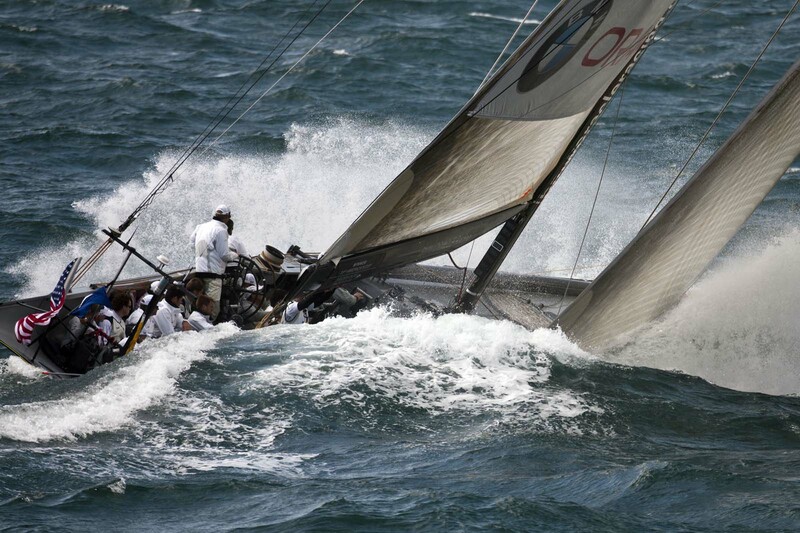 We hope you enjoy our selection of the best images of the year. 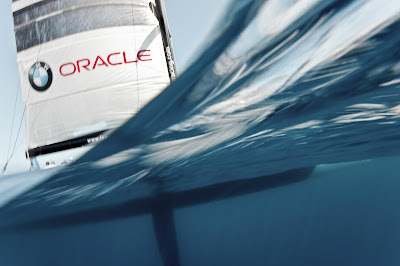 The America’s Cup Class retired this year, but a race around the Isle of Wight resulted in one of the best upwind shots of the upwind machines. Winning the America’s Cup meant a visit to the White House for a meeting with President Barack Obama. 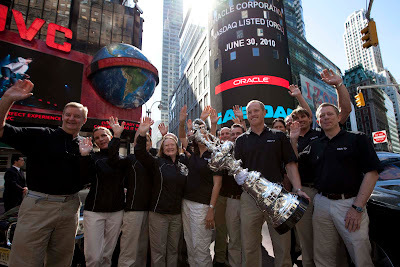 While it was the team’s first trip to Washington, D.C., the Cup returned for the first time since 1987. 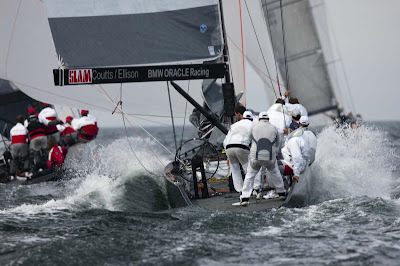 USA shows fine form, higher and faster than Alinghi 5 in Race 1 of the 33rd America’s Cup Match. 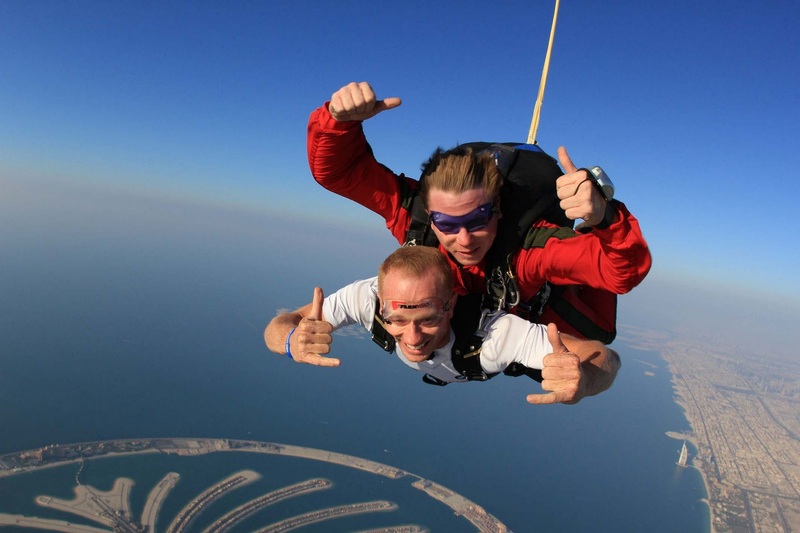 Skipper Jimmy Spithill flashes the double “shaka” as he skydives some 13,000 feet above Dubai. 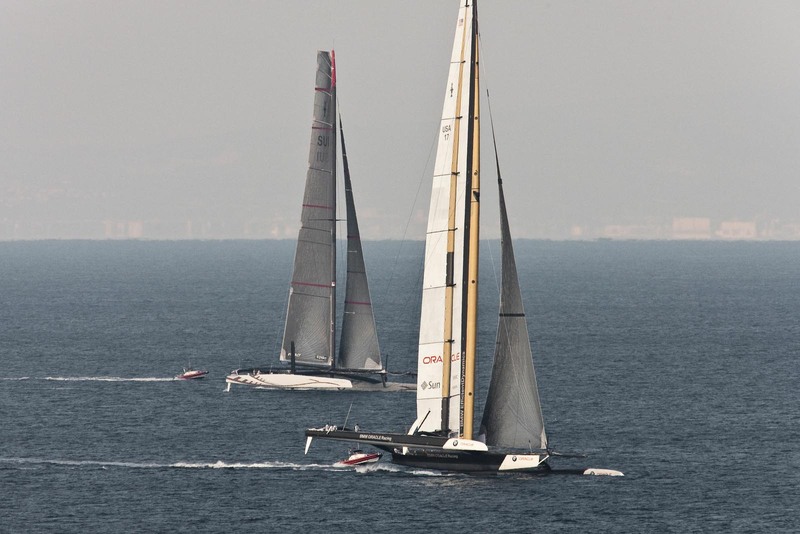 USA has the need for speed during training off Valencia prior to the 33rd Match. Jimmy, the Cup and all the gang enjoyed a late June day in Times Square in New York City. 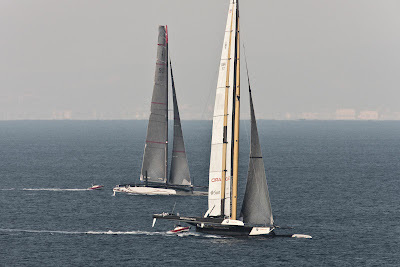 The Mediterranean off La Maddalena lived up to its “azur” billing. 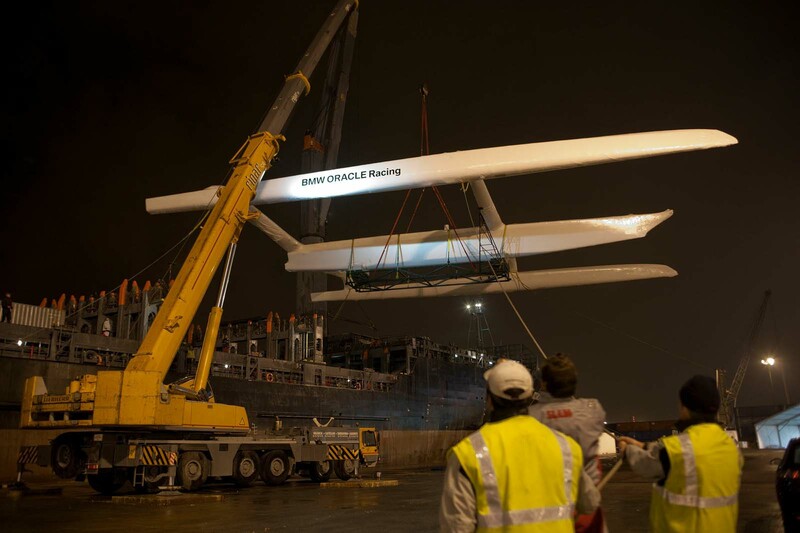 The RC 44 BMW ORACLE Racing carves a trough in windy conditions off Copenhagen. Team sailors were ablaze at the ORACLE RC 44 Cup Miami two weeks ago, racing upwind off South Beach on USA-17 and USA-19. It was a cold night in late December, 2009, when USA was unloaded in Valencia. 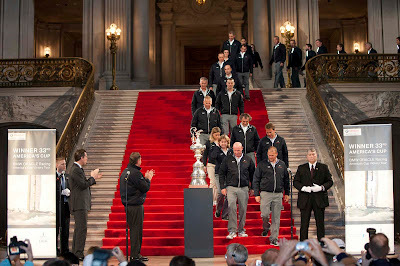 With the red carpet rolled out, team members parade in to join the America’s Cup in San Francisco’s City Hall for a reception one week after winning the 33rd America’s Cup. Team members wait to view the daily rushes in 3D format from the Valencia TV Trials for the 34th America’s Cup in July.